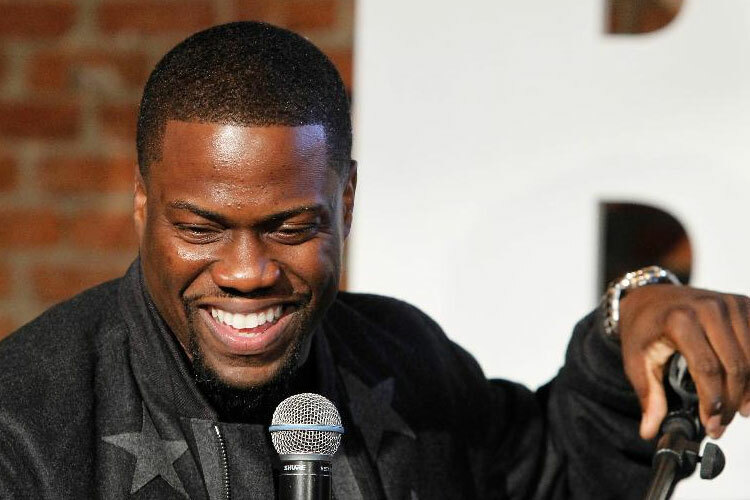 (THE WIRE PRESS) – Kevin Hart stopped by the Legendary Laugh Factory http://www.laughfactory.com/, on New Year’s Day, where he performed two 30-minute sets of new material to an enthusiastic audience. Hart’s the man who sees the humor in life experiences and makes fans take a cold hard look at the things everyone thinks but is too afraid to say. He’s irreverent, bold, and somewhat brass; yet there’s an innocent sensitivity that pulls at the heart strings which make fans want to take hold and go along for the ride. With more than 23 million followers on Facebook and more than 31 million followers on Twitter, Hart is easily able to engage with fans and make topics trend within minutes. Hart himself is a brand that creates buzz and makes magic. Opening its doors in 1979, the World Famous Laugh Factory has been recognized as “the #1 comedy club in the country” by such high-profile media as USA Today. With southern California locations in Hollywood (its original Sunset Boulevard locale) and Long Beach (opened in 2008), comedy’s top stars, as well as today’s brightest emerging talent, shine on its legendary stage. Founder Jamie Masada, the driving force behind the Laugh Factory, is revered as a pioneer and innovator and is an iconic name on the comedy scene. He was and continues to be instrumental in launching the careers of many of today’s biggest comics. The New York Daily News called him the “Real King of Comedy.” His knowledge and expertise have made him the leading authority on all things comedy and his advice is highly regarded by the entertainment industry’s top power brokers.